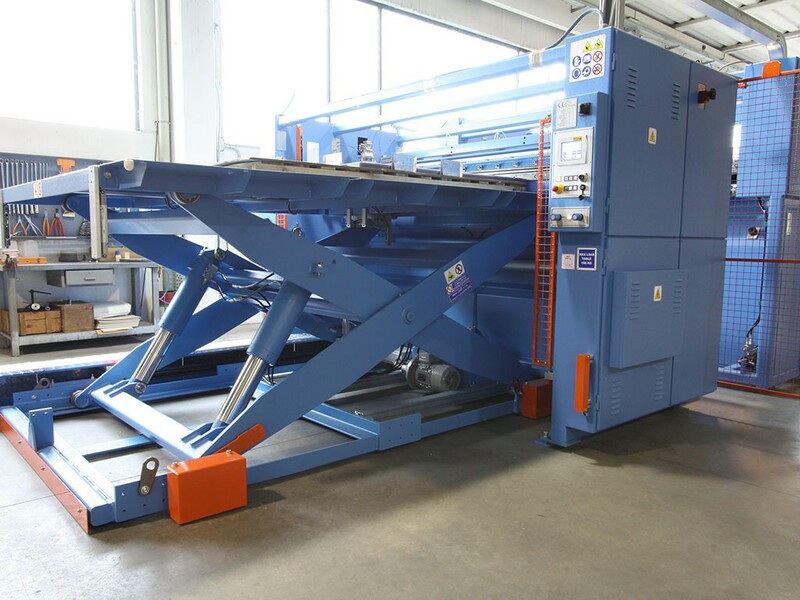 PASQUATO sheeter for large format is suitable to cut screen printing media, such as 150/200 gsm paper, banner material, PVC, Polyester foil, from roll to large format sheets. A driven unwinding unit holds the jumbo roll. The web is unwound with tension control and then slit and cut across by blades with scissor action. The sheets are stacked on a self-lowering scissor table. Batch marking and easy handling of the pallet make this machine the perfect choice for a top level converting department. The rewinding of small rolls for plotter application is available upon request.